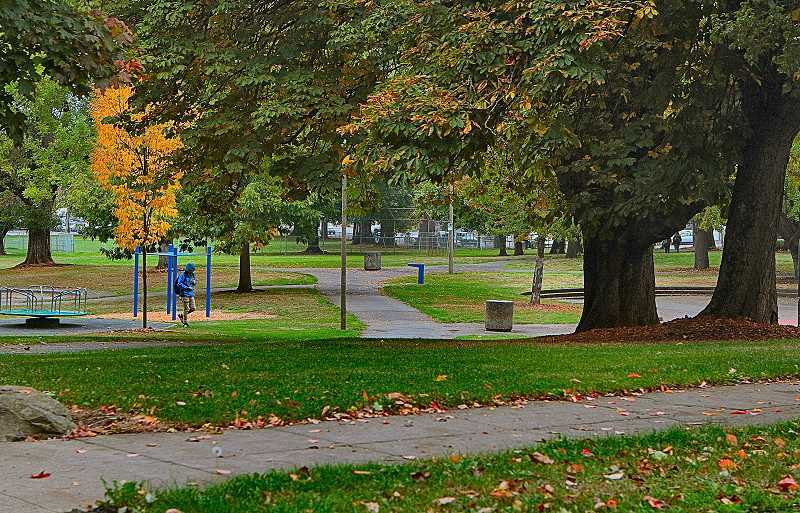 Unexpected violence in one of Southeast Portland's signature parks -- a bias crime? The report of a stabbing at Powell Park, at 3549 S.E. 26th Avenue, brought Portland Police Bureau officers to the area at 4:30 p.m. on Monday, September 17. Officers were directed to the Portland Food Mart, directly across the street from the park, where the adult female victim had gone for help. "The victim suffered minor injuries, and was treated at the scene by emergency medical personnel, but did not need to be taken by ambulance to an area hospital," Portland Police spokesperson Officer Natasha Haunsperger told THE BEE. "During the investigation, officers learned two suspects approached her," Haunsperger said. "One of them hit the victim with a stick, and the other stabbed her with what was described as an ice pick. "During the assault, the suspects made derogatory comments about the victim's sexual orientation," Haunsperger commented. "Investigators believe this may be a bias crime related to the person's sexual orientation." Officers searched the area but didn't find the suspects – described as two black males in their mid to late teens. One of them was wearing blue jeans and a white T-shirt, and the other wore blue jeans and a red hooded sweatshirt.